I have been loving palm trees, pineapples, basically anything that is tropical. I don't know if I secretly want to go to Florida but I do know I have been loving these two summer trends. 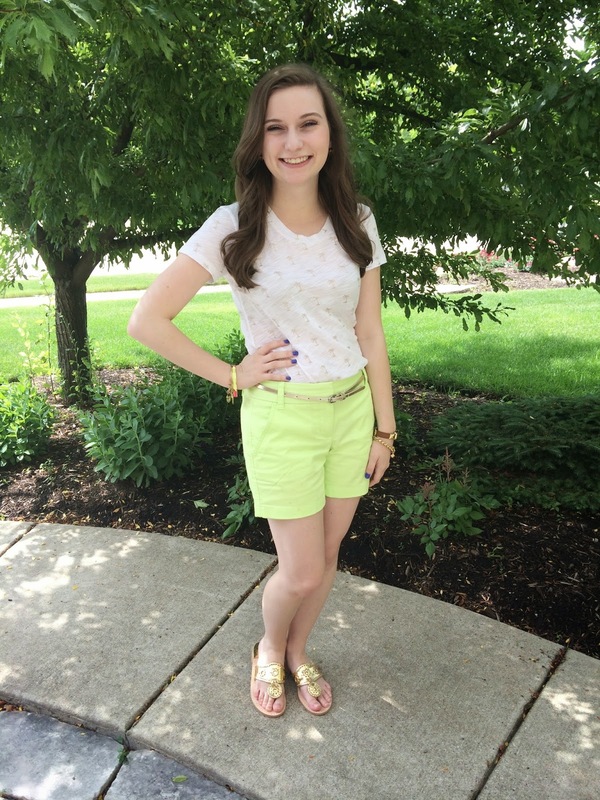 This OOTD features palm trees! 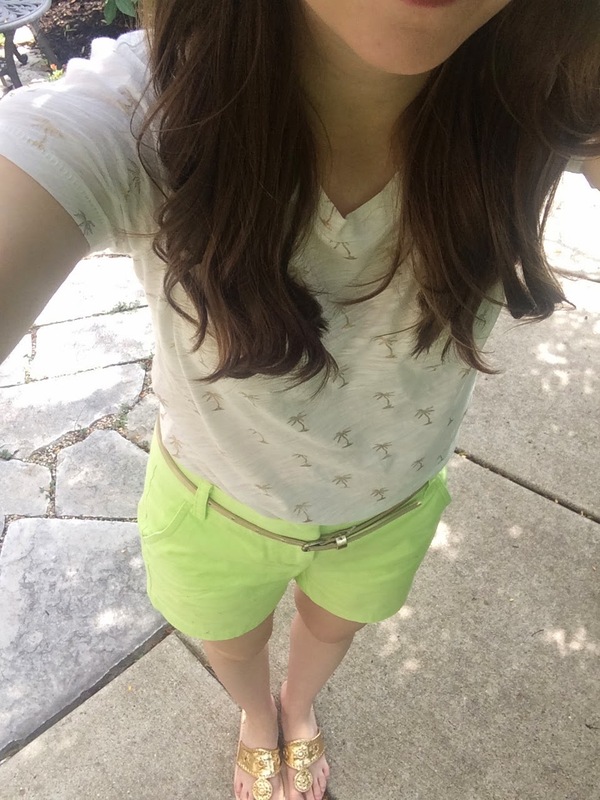 I paired a super fun white and gold palm tree tee with a green pair of chino shorts. These chino shorts are 5 inch so they are a little longer which I knid of like. I am kind of over the style of shorts where everyones butts show.... not really my thing. For accessories I kept things very simple. I simply wore a few bracletes, my new watch, and a pair of earrings. 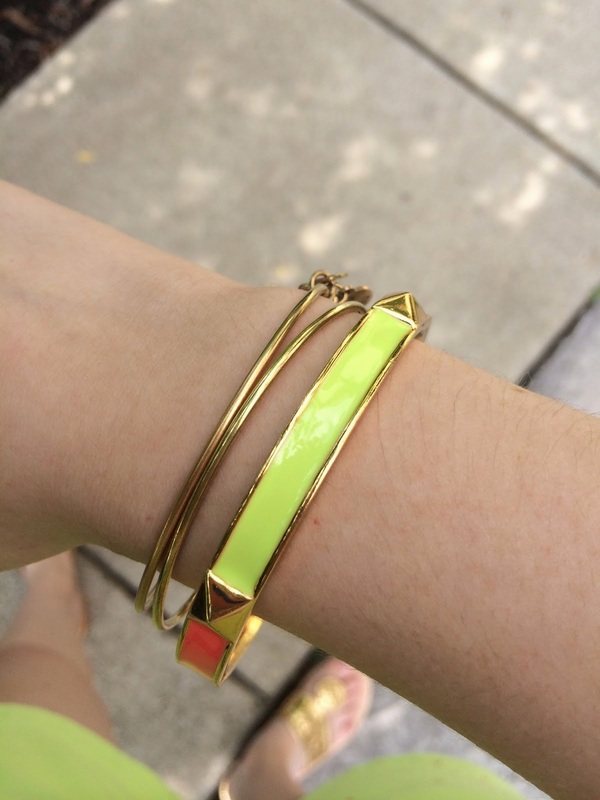 But, I love the neon Kate Spade bangle that I am wearing. It suprisingly goes with a lot of different things! 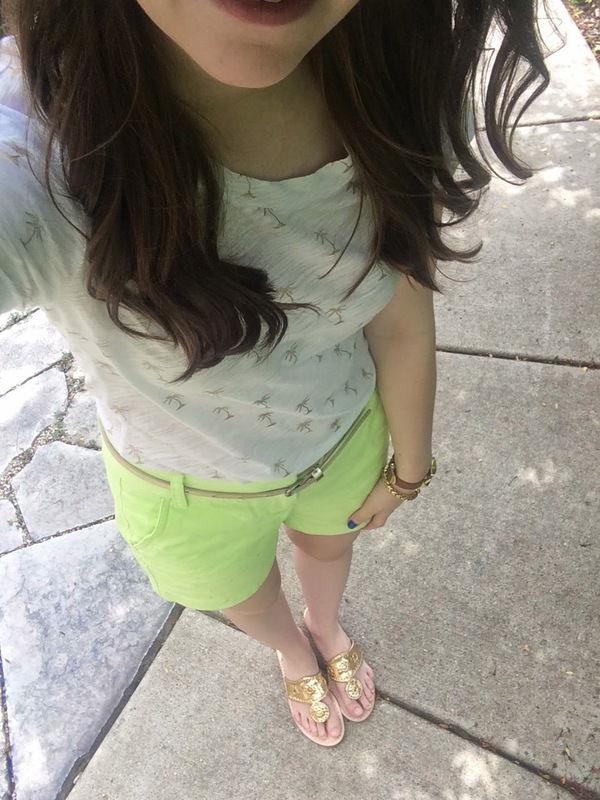 To complete the look I wore my Jack Rogers gold sandals along with a skinny gold belt. Do you guys like my new watch? 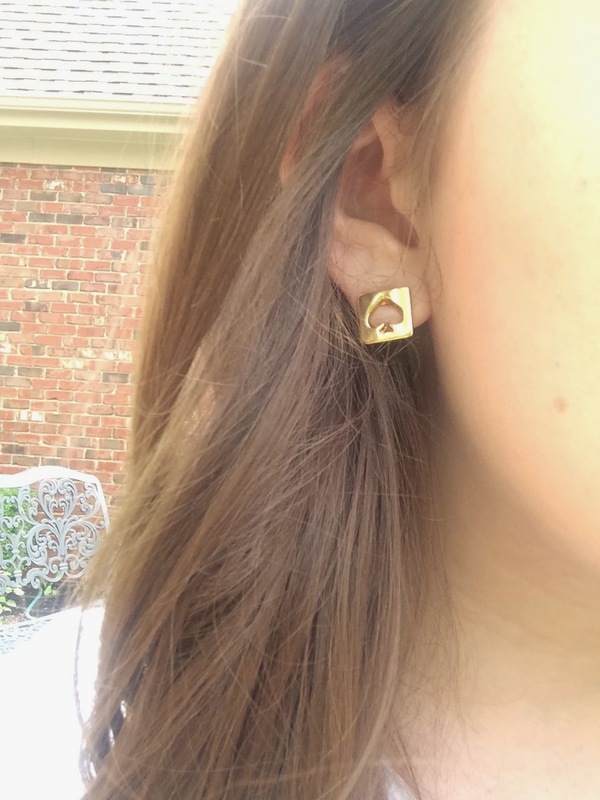 It's from Henri Bendel and I am obsessed! 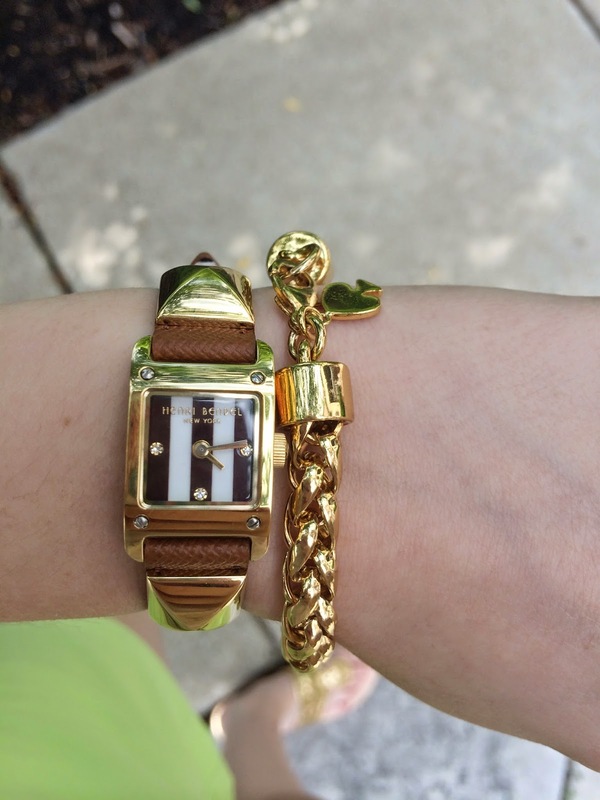 I don't have a nice leather band watch so this is a great piece to add to my jewelry collection. Cute outfit! I've recently taken a like to all things tropical and 5" chinos as well! They're much more modest and don't ride up like the 3" chinos do! That new watch is to die for! ADORABLE!